If you are looking for a family dentist who is caring and attentive, then visit our dental office. Our goal at Coventry Dental Care is to help you maintain optimal oral health. We do this by spending the time to develop a personalized treatment plan that meets your specific needs. We will discuss the findings and the best way to deal with any concerns and avoid future issues. Remember, an ounce of prevention is worth a pound of cure! Prevention includes regular professional hygiene appointments (teeth cleanings) at an interval that is ideal for you. Most patients return back for regular appointments approximately every six months, depending on their health history and dental risk. Patients that smoke, have diabetes, have issues with their grip, or are pregnant should have maintenance appointments sooner than six months. We may also have specific recommendations for your at home care (i.e. 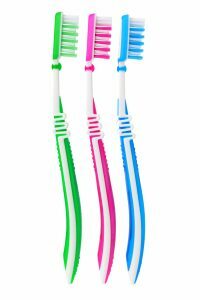 electric toothbrush or floss aids). We will also demonstrate ideal brushing and flossing technique. Depending on your needs, we may recommend a sports guard to help prevent dental traumas during workouts at the gym, or while playing contact sports. If grinding or clenching is a concern, a custom night guard (or “bruxism appliance”) may be recommended to prevent chipping and fractures of teeth while sleeping. Remember, our goal is to keep you healthy and minimize the amount of dental treatment you require!